A friend asked about paintings of a Daruma with blue eyes. Since most painings of Daruma san are in the Zen-painting tradition (zen-ga 禅画), they are in black and white ink. But Daruma, as an Indian Monk, might have blue eyes. .. .. .. .. Let us see what we find in the Internet. Then, about fourteen hundred years ago Bodhidharma (Bodhidharma in Sanskrit, Pu-Ti-Ta-Mo, Buti-Damoin or Ta-mo in Chinese, Bodai Daruma in Japanese) who was a Buddhist master and an accomplished Kshatriya warrior, left western India, penetrating mountain ranges including the Himalayas and crossing unbridged rivers through complete wilderness, to travel to China and present lectures on Buddhism. Ferociously ugly, with wide, piercing blue eyes; and bearded with wild curly hair, who was known as he arrived in China as a "barbarian", is now known as the founder of Ch’an (Zen) Buddhism and of the Shaolin arts. Some historical notes have him arriving in Canton, China at 470 AD, leaving there and arriving next in Ching-Ling (which is now Nanking). Since even present roads between India and China would not be described as good, one can only imagine the greatness of Bodhidharma's spirit and physical strength as he made this several thousand mile trip alone. This journey was the death bed wish of his master Prajnatara who wished to spread the "sudden" philosophy of Chan Buddhism outside of India proper and particularly to the land of Song Dynasty China. by a man whose BLUE EYES supposedly burned a hole through a wall, according to the legend. His name was Bodhidharma, and he is mentioned as "the blue-eyed devil" in the quote below. Another thing we always see in the Orient is the Buddha, whose statues are all very Oriental-looking. Actually, Buddha was an Aryan who lived and died in India. "We're all prepared to visualize the Buddha's blue eyes. He was an Aryan, of European descent, a nobleman in a societal caste system that did not ‘officially' intermarry with native populations. The rigidity of the system can be seen even in further generations. Nearly a thousand years later, Bodhidharma, another Aryan descendant, was called The Blue Eyed Demon by the Chinese.'" Or again, like a thousand suns releasing their splendour. His eyes are pure, as large and as broad as a blue lotus. His teeth are white, even and close, as snowy as white jade. Interesting Article about the perception of the Color BLUE. Bodhidharma is revered as the founder of kung fu. He introduced kung fu exercises to the monks of the Shaolin temple after gaining entry around 497AD. Legend states that he cut off his eyelids to stay awake in meditation and had piercing blue eyes. Chinese writers refer to him as the "blue-eyed barbarian. " He is often depicted as a balding man with a beard, potbelly, and blue eyes. He was most probably born in Kanchipuran (near Madras), India. He was probably the son of a lesser member of the warrior caste, but there are some indications he may have been of the mixed priest-warrior caste "Brahaman-Kshyatriya"; the clue being his Caucasoid features. 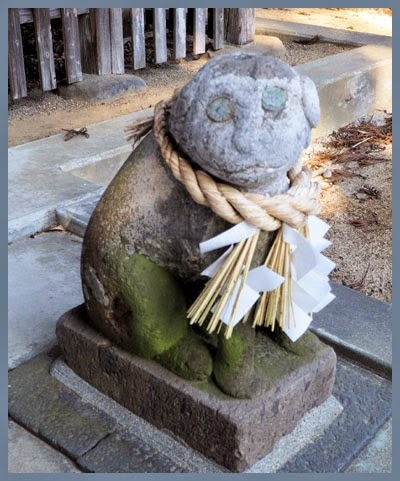 Although heir to a throne, Bodhidharma chose the life of a religious devotee. On this page, you will see wall paintings from the tomb of Princess Yongtai at the site of the Qian Ling tombs, Shaolin Monastery, and from the grottoes at Dunhunag, Kizil and Bezeklik. Other figures, shown kneeling before the Buddhas offering gifts, were of particular interest to von Le Coq since they depicted individuals in costumes of different nationalities. They included Indian princes, Brahmins, Persians -- and one puzzling character with red hair, blue eyes and distinctly European features." One of these kites features a Daruma with blue eyes. This Kite pattern is also on a large tile design in the town. Daruma, the blue-eyed prince from India, did long sessions of zazen in China and cut off his eyelids, because he wanted to prevent going to sleep. From the cast-off eyebrows the tee tree emerged, with his envigorating dring helping the meditating Daruma. The Daruma above is from my collection. He is made from clay and about 19 cm high. Kokeshi set on a piece of wood with blue eyes. 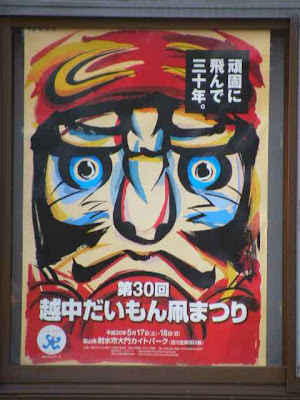 The ancient 12-13th c. Korean history "Samguk Yusa" describes Tamo (Daruma) as a blue-eyed barbarian. "The Blue Cliff Records" of Japan label him as"that old blue-eyed barbarian". Coupling this info. with the Silk RoadTrade, considering that Chinese interacted with Nordics through that very route, literary references to Nordics (Aryans), that artistic works refer to non-European Whites, and that "blue-eyed barbarian" was apparently used as a general term for White strangers (from Xinjiang, Persia, India, C. Asia,etc. - where else would they come from? 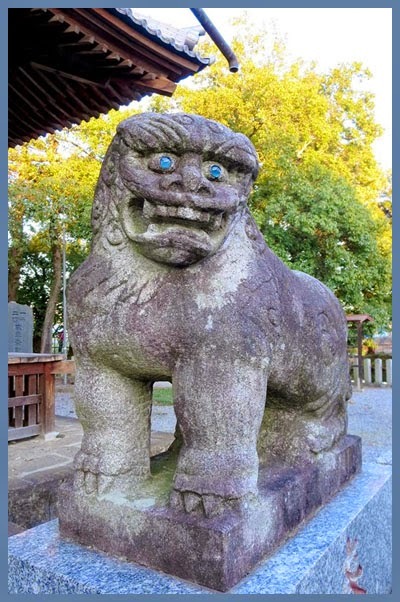 ), makes the chances of Daruma being a White Man (he was from the Warrior Caste) with blue eyes quite apossibility; just like the Buddha.
. komainu, koma inu　狛犬 "lion dog" .